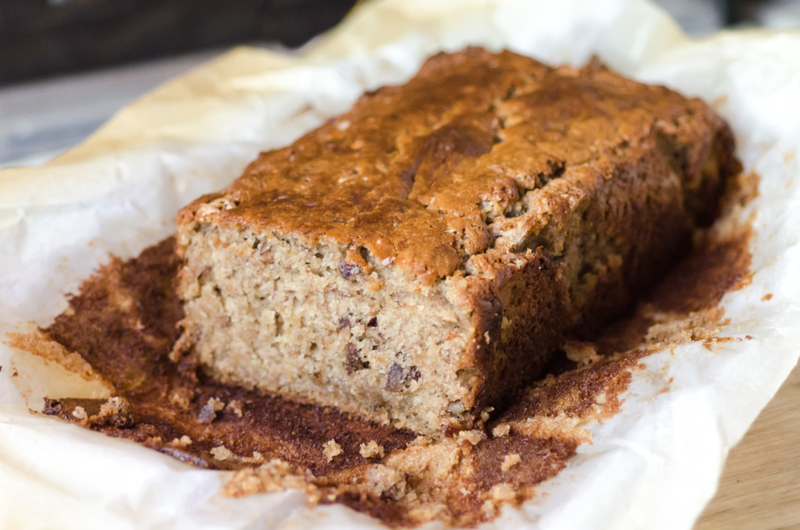 To me, banana bread is a classic, an American staple. It’s a family tradition, it’s at every church potluck. But… a lot can go wrong with banana bread. It can be really bland. It can be too dry. 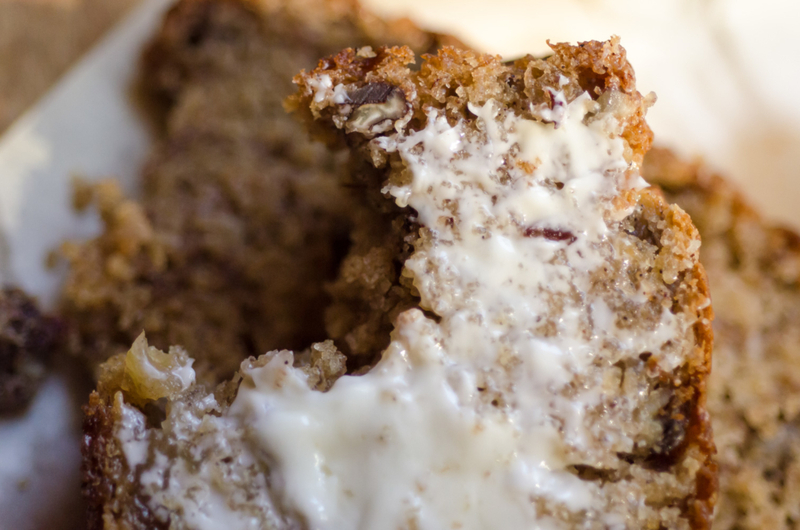 Sometimes with too much banana or wet ingredients, banana bread can get really rubbery. This recipe, however is AWESOME! I adapted it from Jane Soudah’s ‘Delightful Desserts.’ It’s exactly the taste and texture that I wanted in a banana bread and it was super easy. 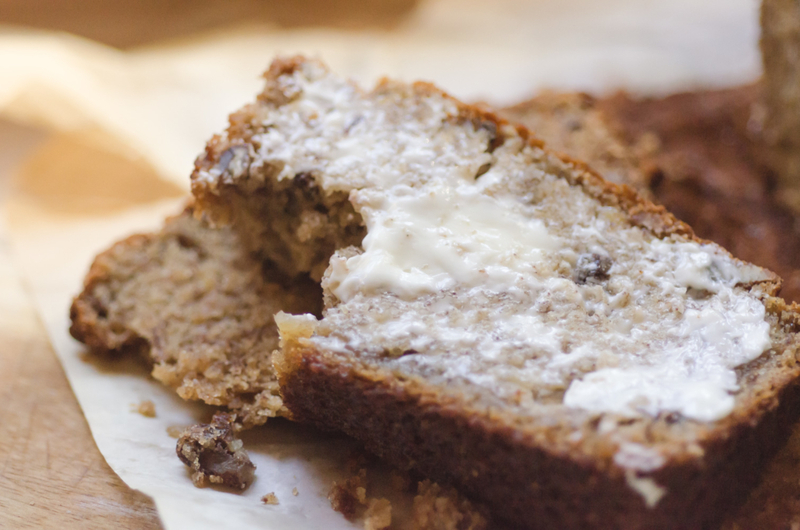 I can usually take or leave banana bread but this recipe had me coming back for more. Unfortunately. Ha! 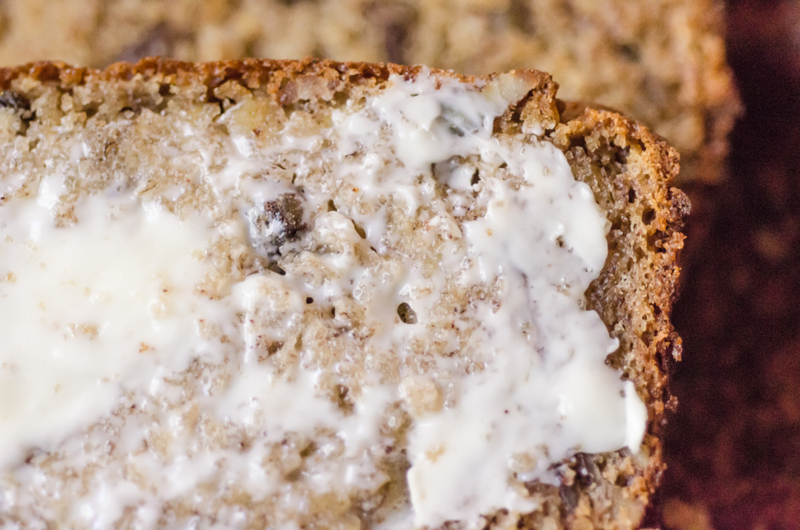 This banana bread is a true bread-- hearty but packed with flavor. Long gone are the days of rubbery or bland banana breads. This recipe is a winner! Preheat the oven to 350 degrees. Grease a 9x5x3 loaf pan with parchment or spray with non-cooking spray. In a mixer, beat the butter and sugar together until light and fluffy. Add the eggs one at a time, mixing after each addition. Add the vanilla, mashed banana and sour cream. Mix until combined. Add the flour, spelt flour, cinnamon, nutmeg, baking soda and salt. Mix until the ingredients are just combined. Fold in the nuts. Pour batter into the prepared pan. Bake for 50-60 minutes until the top is brown and toothpick comes out clean.